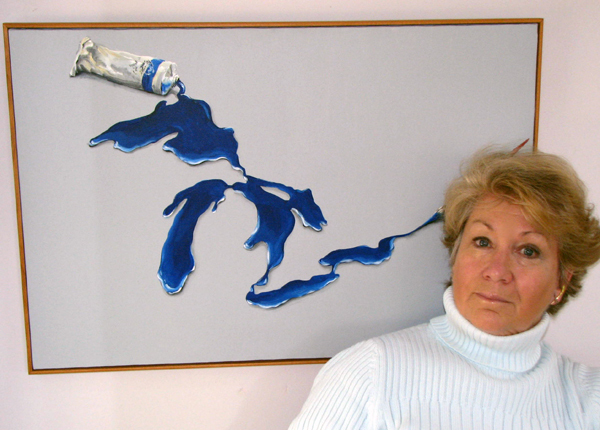 Joan Bonney, a visual artist, created The Color of Water to raise funds for and awareness of world-wide water issues. She is committed to providing for water quality and sanitation improvement projects in the U.S. and abroad, based on need, sustainability and with conscientious consideration of consequences. At a Rotary International Convention, Joan became aware of the wide variety of urgent water problems that exist. She wanted to DO something. Her first inclination was to dash off to install household sand filters, help dig wells, build rain harvest tanks. Upon careful consideration she decided she really wanted to spend her time painting. 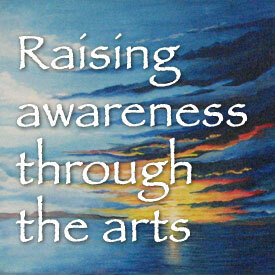 Alas, The Color of Water combines the two, painting and helping. In fact, in the Spring of 2009, Joan did go with a team of Rotarians to a tiny mountain village in northern Honduras to install bio-sand filters and build adobe cooking stoves. The trip was life-altering. Read an account of the trip and see her photos here. So how does The Color of Water raise funds? First of all, it is a non-profit, but it is not a 501(C)3. Joan does not solicit donations. Rather the money comes totally from the sale of certain paintings and merchandise as displayed in the shop.